Ex-Virginia Lawmaker’s Unethical behavior earns Phillip A. Hamilton a 9 1/2 year prison sentence. Phillip A. Hamilton, a former state lawmaker in Virginia, was sentenced today in federal court to serve 9½ years in prison for arranging money to start a teaching center at Old Dominion University in 2007 and then becoming director of the center, the Richmond Times-Dispatch reported. 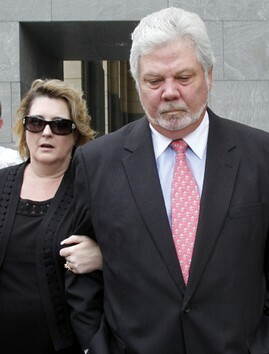 Mr. Hamilton was convicted in May on federal charges of bribery and extortion. He is to remain free until September 19, when he must report to prison authorities. Phillip Hamilton, 59, a Newport News Republican who was once vice chairman of the House Appropriations Committee, was found guilty of bribery and extortion by a federal jury in May for arranging funding for a center at Old Dominion University in 2007. In exchange for obtaining the $500,000 appropriation to start the Center for Teacher Quality and Educational Leadership, Hamilton, a career educator, was hired as its director and paid $80,000 over two years. Choices and consequences. An unethical use of power resulting in an $80,000 a year job equals 9.5 years in prison. What a powerful price to pay for such a poor reward. It goes to show that rarely if ever does the reward justify the consequence. Hudson said reaching his decision on a sentence for Hamilton was the hardest he has had to make in 13 years as a judge. He said he took into account Hamilton’s clean record, his good works as an educator and legislator. 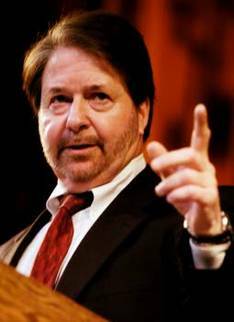 Hamilton’s arrangement with ODU was exposed by news reports in 2009. He was defeated for re-election later that year, ending more than two decades in the Virginia general Assembly. The loss of public trust cost Hamilton his elected position, job and now earns him 9.5 years in prison. Again, a clear indication that often the consequences of choices are far greater than the short term gain enjoyed by unethical actions. If you know Hamilton – feel free to comment on his motives behind the actions reported above. Administrators at Montreat College, according to The Asheville Citizen-Times, said this week that they would help cover student loans taken out by more than 50 master’s-degree students at the North Carolina institution who were told by outside recruiters that the federal government would forgive their loan debt up to $17,500 each. Many of the students whom the recruiters said would be eligible for loan forgiveness were in fact ineligible because they were neither secondary-school mathematics and science teachers nor special-education teachers at elementary and secondary schools. The recruiters, who worked for a private company hired to recruit for the college’s adult-education programs, had told the students that they would receive government help if they pursued an M.A. in education at Montreat. Montreat contracted with Arizona-based Institute for Professional Development in 1994 to build its adult education program. IPD recruiters representing Montreat have visited numerous schools in Western North Carolina in recent years advertising a masters program in K-6 education. Many teachers who enrolled said recruiters told them they were eligible for loan forgivenes because they were highly qualified math, science or special education teachers at Title I schools. Neither Struble nor officials at IPD’s parent company, the Apollo Group, have said why recruiters distributed material suggesting students in the K-6 program qualified for loan forgiveness.Sara Jones, a spokeswoman for the Phoenix-based Apollo Group, said her company would work to resolve the students’ complaints and review the recruitment issues. While the final loan forgiveness assistance help is not fully finalized, positive moves are being put in place to hear the students concerns and take appropriate action. This is ethics in action…and as a business ethics speaker to colleges and universities I find joy in reporting on positive applications of ethics vs. reporting on ethical breaches.